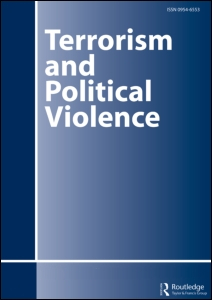 This study presents American state police agencies’ perceptions about three significant terrorism and public safety issues. First, we asked about the threat posed by specified extremist groups nationally and to their state. We asked about the number of such groups and their supporters, and the number of activities each group participates in during a typical year in their state. We also asked about the number of criminal incidents each group commits and the number of their supporters arrested in a typical year. Second, we asked the agencies to rate the usefulness of fifteen specified terrorism sources. Third, we queried the agencies about their views of eight terrorism definitions. These data were collected by surveying the fifty state police agencies in the United States. We discovered widespread concern about the criminal activities of various extremist groups, with a particular concern about the threat of Islamic jihadists. Interestingly, although the top rated threat was Islamic jihadists, the respondents indicated that other types of groups were much more criminally active. Further, respondents indicated that various open and non-open sources were valuable terrorism sources. Finally, most respondents reacted more favourably to official terrorism definitions—especially the FBI’s—as opposed to academic definitions. We conclude with a discussion of the policy implications of our findings and we outline directions for future research. Author : Joshua D. Freilich, Steven M. Chermak, Joseph Simone Jr.